There are two types of Awards given out by the region for outstanding contribution of adult leaders and volunteers. They are the annual Asia Pacific Leadership Awards which are divided into three categories and the Region Appreciation Award which is given out once every three years during the Regional Conference. The Asia Pacific Leadership Awards aims to recognize achievement of adult leaders in the Member Organizations of the Asia Pacific Region. Each year GGA seeks nominations from members for the Asia Pacific Leadership Awards. Applications on the AW.7 Application for Asia Pacific Leadership Award form should be forwarded to the Australian Awards Committee via the GGA National Office by the 1st September each year. Nominations require the signature of the Region Leader and State Commissioner. Criteria for the awards can be found on the application form. The Asia Pacific Region Appreciation Award is the highest award given by the Asia Pacific Region, World Association of Girl Guides and Girl Scouts. The Asia Pacific Region Appreciation Award is to honour individuals who have given outstanding service and contribution to the development of Girl Guiding Girl Scouting in the Region. The award is presented once every three years. Have used her/his position to improve the image of Girl Guiding/Girl Scouting in an Asia Pacific country or in the Region. Made an outstanding contribution as a volunteer, staff or supporter to a Member Organization for a period of at least ten years. Contributed time and expertise to the development of Girl Guiding/Girl Scouting in an Asia Pacific country or in the Region. Demonstrated the ability to promote and advance Girl Guiding/Girl Scouting in an Asia Pacific country or in the Region. Demonstrated quality and exemplary leadership. 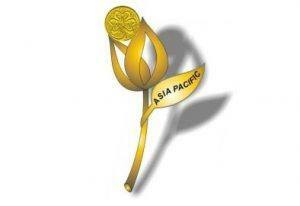 Made an outstanding contribution to the Asia Pacific Region.